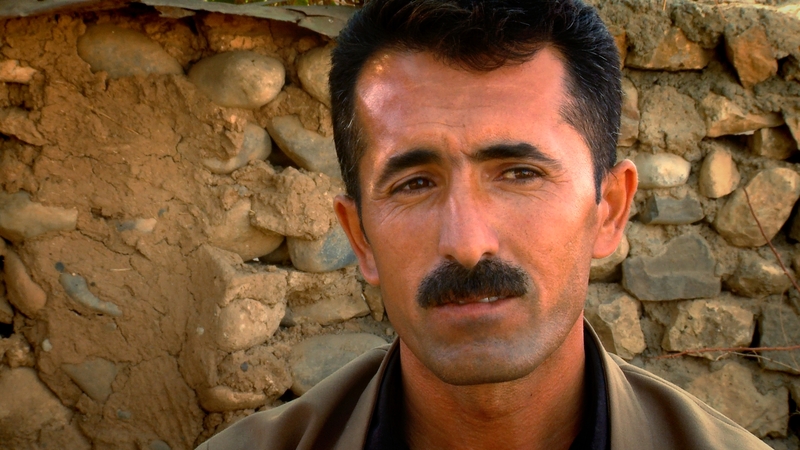 Hakim Rebwar’s name is legendary in Iraqi Kurdistan for the ultimate sacrifice he made in saving the lives of some 20 to 25 women and children who were fleeing a poison gas attack. One of those he saved was his son, Hawraz Rafiq Karim. On 3 May 1988, Iraqi planes dropped chemical bombs on Goptapa village located about 140km west of the Iranian border. They attacked at sunset as villagers returned home from the fields, killing between 160 and 200 people. The villages had been singled out because of their strong peshmerga presence and the attack marked the beginning of Saddam’s Fourth Anfal campaign against Kurdistan’s rural communities. Hakim was an experienced peshmerga and watched through his binoculars as the army approached Goptapa from four directions. Initially, he was not unduly alarmed because Iraqi planes regularly bombed the village and people would take cover in their self-made bomb shelters. This time columns of smoke rose from the ground and there was a nasty stench. He soon realised that these bombs did not contain conventional explosives. Panic spread through Goptapa as a toxic cloud drifted through the village. People collapsed on the floor and peshmerga tried injecting them with atropine a drug used to treat people exposed to nerve agents, but without success. Hakim grabbed his gun and guided villagers northwards towards the Lesser Zab river. He found a cave in Ballqamesh mountain that was big enough to conceal everybody. However, crying children betrayed their location and two Kurdish fighters with the Iraqi army, collaborators known as “jash”, came to investigate. One entered the cave and was shot dead immediately but the other alerted his unit. "The rest are innocent," said my father. "I'm the only peshmerga here. Do what you want with me"
‘When they arrived they called on us to surrender but we didn’t. We fought them to the last bullet. When we ran out of ammunition we gave up,’ says Hawraz. The fighting lasted for three hours. All the women and children were released. ‘The jash later told us they had never seen anyone as brave as my father,’ says Hawraz, who watched Hakim and the other men being flown off in an army helicopter. There were unconfirmed reports that they had been moved to the Topzawa holding camp near Kirkuk and then on to Nugra Salman prison in the southern Iraqi deserts. For many years, his family lived in hope that he had survived Anfal but now accept he died in captivity. Goptapa is a large village situated in the fertile Lesser Zab valley. In May 1988 the Iraqi army attacked this village with chemical weapons.